Sarah Ticson is a paralegal in the firm’s Real Estate and Business and Finance Practices. Sarah has more than seven years’ experience with commercial real estate transactions on both local and national levels, including commercial finance, affordable housing development, acquisition and leasing. She assists with all aspects of a transaction, including the preparation and review of loan, conveyance and corporate documents, due diligence tracking and review, lease reviews, title and survey review and closing activities. Sarah’s finance experience encompasses both institutional and private lending in capital market, mezzanine, multistate and mixed-collateral loans. 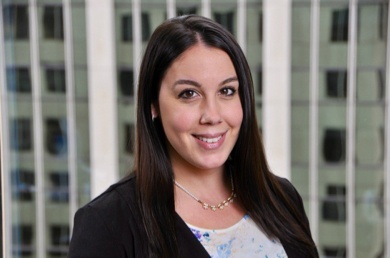 In addition to her Bachelor of Science degree, Sarah received a Certificate in Advanced Paralegal Studies and is a Notary Public for the State of Connecticut.